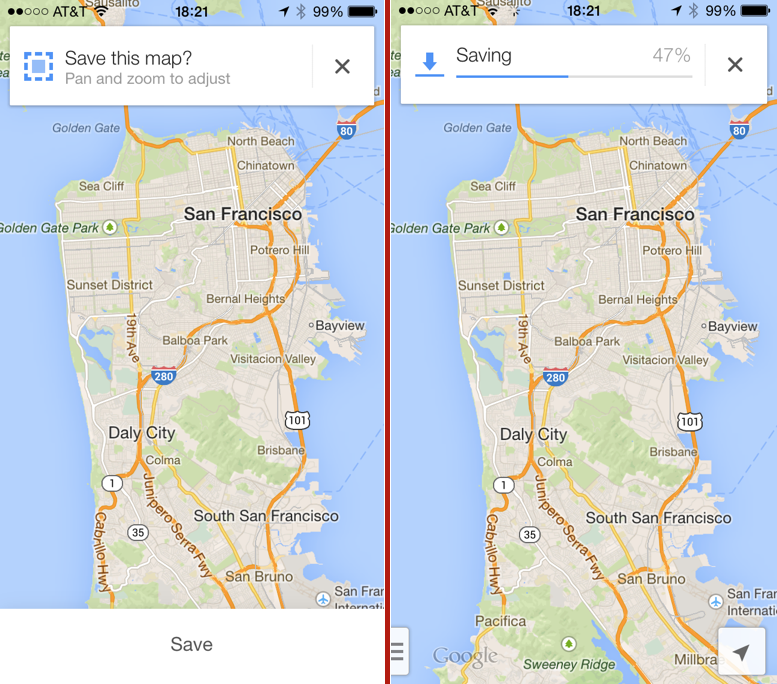 This week's Google Maps update has a lot of new features and most of them are quite useful. Although offline maps isn't essentially a new feature, the latest update has made saving maps for offline use very easy. So before you head out onto unknown streets where internet connection may be spotty, take a look at how you can save a map for offline use. The process is similar for both iOS and Android. All you need to do is get the latest version of Google Maps for your device (version 3.0.0 for iOS, version varies for Android by device). - Scroll to the bottom of the profile page to find the 'Offline Maps' section. - You can save maps by clicking the 'Save map to use offline' link there. - Pan and zoom the to select a map area you want to save and click 'Save'. Note that the size of the map area to be saved can't be too large. The app will let you know when your selected area is appropriate enough to save. - Give your selected area a name and you're done. The other way of saving a map is by typing "OK Maps" in the search bar. This will bring up the map asking you to pan and zoom to the desired area. Hit save, give the map a name and voila! - Offline maps are saved only for a period of 30 days. After that you will have to save the map again for offline use. Saved files are automatically deleted after a month to free up space on your device. Map files aren't very large though. The entire city of San Francisco, CA, for example (not a very large city), was included in a 4.7 MB file. - With maps saved for offline use you can pan and zoom to see street names of some points of interests but you won't be able to perform searches or get directions.